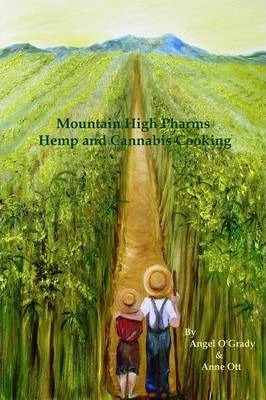 Mountain High Pharms Hemp and Cannabis Cooking a book by Angel O'Grady and Anne Ott ~ Mother and Daughter~ have come together to create a collection of delicious cannabis and hemp recipes for your enjoyment. Both having a life time of cooking experience and an abundance of training from various restaurants and institutions, have brought to you the best assortment delicious meals, appetizers, goodies, dressings, sauces and more. From our table to yours.